I have 12 and 8 and very happy with that quiver. If I would buy 3 kites then I would go probably 14, 11 and 7 to get better high end. Or 17 Helium, 12 and 8. I had my first session on 8m Nitro 6 the other day. Very impressed with the kite. Very smooth and jumps very well! No delay in turning like with my old kites. Fast turning with just perfect bar pressure. My kind a kite. I tested my Nitros 6 12 and 8m yesterday and i love it. The 12m turns quickly like a 10. Great for boosting. Hangtime is amazing. I succeeded to surf with the 8m. It's the perfect all-round kite. Before i ride Cabrinha Switchblade but i prefer the Nitro for his direct bar feel and quicker turning (Sorry for my language because i'm french). Been using Cabrinha Switchblade 2016 lately (my fav so far) as an early-intermediate kiter. Thinking to move into Nitro6. Can anyone have a comparison? For 12m SB has a great lowend but rather slow. For 9m, it's not that fun at all. So for 9m I def think about getting to Nitro6 for boosting and learning kiteloops. What do you think for 12m? I know Nitro is a faster kite, can Nitro 6 handle lowend well? What would I miss at Switchblade if I go completely into Nitro6? I can comment on my Nitro5 8/10m vs my friends 2016 Switchblade 8/10m that we've swapped a few time during sessions. Both are heavy five strut kites and do work in low wind but are not much fun. They both become fun in their mid to upper ranges. Both relaunch just as well. Both have a medium bar pressure. Contrustion and material are just good on both. Switchblade jumps better in lower wind. Switchblade is easier to jump all round, just pull the bar and up you go. Nitro requires a bit more technique and correct timing to jump as high. Nitro has more hang time and brings you down softer. Switchblade handles over powered gusty conditions a bit better and feels much smoother. Upwind ability about the same. Turning is where the Nitro shines, very direct feel, similar to a C. Switchblade has a delayed spongey feel. Both loop with a moderate pull. 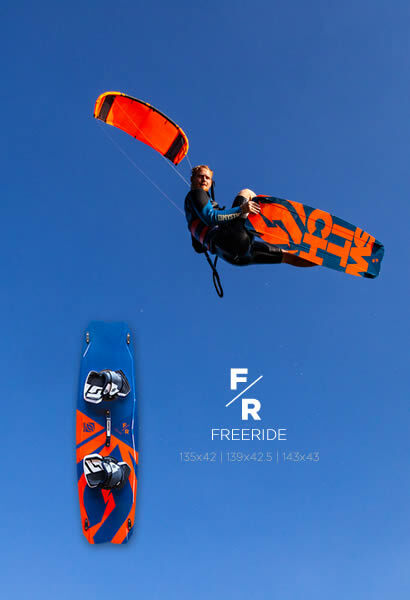 Switchblade is a great allround kite and I've owned a few myself, they just get a bit boring. Nitro puts a bigger smile on my face. Just order one to test for yourself, if you don't like it Switch have a 30 day money back guarantee. Don't order the switch bar until the controller 4 comes out, use your cab bar on the switch kite. I fly Nitro 6 in 10 and 8. I think you will find N6 faster turning and much more direct. Nitro 6 has a big windrange. The Nitro boosts and turns faster than the Switchblade. I love this kite. Last edited by Gautiou on Sun Oct 29, 2017 8:42 pm, edited 1 time in total. Lance wrote: I can comment on my Nitro5 8/10m vs my friends 2016 Switchblade 8/10m that we've swapped a few time during sessions. Both are heavy five strut kites and do work in low wind but are not much fun. They both become fun in their mid to upper ranges. Both relaunch just as well. Both have a medium bar pressure. Contrustion and material are just good on both. I think the Switchblade has a better low end. The Nitro turns faster but has a bad low end but amazing high end. I can ride my 12 with a surf in 15-16 knots. I can hold my 8 in 45 knots. 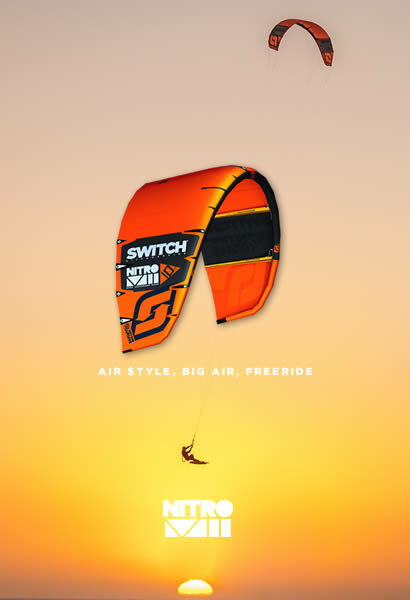 Nitro 6 isn't that good in surf, don't know about 5 but there are better kites ofcourse. Nitro lowend is very good especially on flat water, just try to race. In between small waves or where they break it is also very good racing. Also nice slalom, like toeside/heelside/toeside/etc.